The discount code is subject to availability for all Double bed room types (1 King size bed; max. 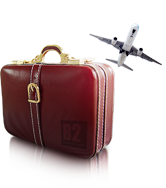 2 persons) at any B2 Boutique and Budget Hotel. The discount code is only for the expense of the guest room, not include food and beverages, gratuities, incidentals, or other hotel services. Incidental charges are the responsibility of the cardholder and these charges are to be paid directly to the hotel prior to check-out. The discount code can only be used per one booking of the stay period 1 February - 31 March 2019.